successfully integrating quotations from outside sources. Reread to dig out the best material. Experiment with new kinds of writing. Try to write something beautiful but don't expect all your writing to be great. Give yourself permission to write badly! Write about personal things--fears, nightmares, or dreams--that contain strong feelings. Writing Toward Home: Tales and Lessons to Find Your Way by Georgia Heard is a beautiful reflection on the writing life and the process of finding home and voice in one's writing. Each chapter ends with a prompt to get you writing. The Writing Life is Annie Dillard's reflection on the life and power of the writer. Known for her nature writing (notably Pilgrim at Tinker Creek), Annie Dillard's insights into writing are poignant and meaningful. Poemcrazy by Susan G. Wooldridge is a wonderful resource for poetry writers, filled with reflections on writing and writing ideas for your own poetry. The Market Guide for Young Writers, a book written by Kathy Henderson, includes market and contest listings as well as a section profiling nine published writers between the ages of 9 and 18. Also included are a glossary ("Words Writers Use"), an encouraging chapter on getting started, and a list of "Answers to Questions Young Writers Ask Most." The Teachers and Writers Handbook of Poetic Forms is edited by Ron Padgett and is not only a wonderful resource regarding the various forms of poetry, but can also be used as a way to broaden your own writing style. Use it as a handbook of ideas. The Norton Anthology of Poetry has been in print for many years and the latest is the fifth edition. Although this is an expensive text to buy brand new, there are many, many used bookstores that sell older, used editions. You can easily find this resource for under $10, and it is a must have for any poetry lover. The Nuts and Bolts of College Writing is a website and book put together by Professor Michael Harvey. Use the menu across the top of the page to find many great resources designed to help young writers with the thinking, style, structure, evidence, and mechanics of writing. Advice to Novice Writers is a web page put together by Mr. Dee Rimbaud that is filled with advice about how to submit your writing for publication. 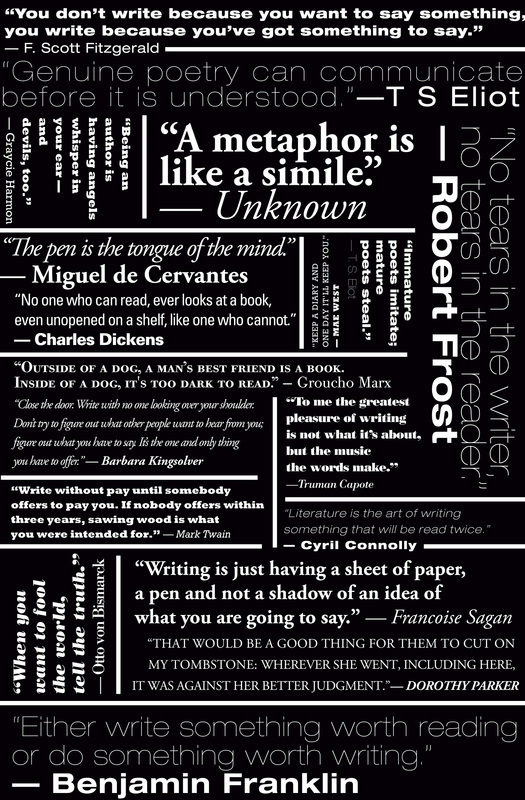 A great deal of excellent advice for new writers. Teen Ink is an excellent publication sponsored by the Young Authors program. It is a web and print publication written by and about teens from all over the United States. You can submit essays, reviews, short stories, poetry, and artwork online. Next Step Magazine is an online magazine for teens which sponsors an essay writing contest about the teen experience. Winning Writers is both a writing resource and a listing of writing contests. This site offers many helpful writing suggestions and interesting articles . of spaces that publish student writers.